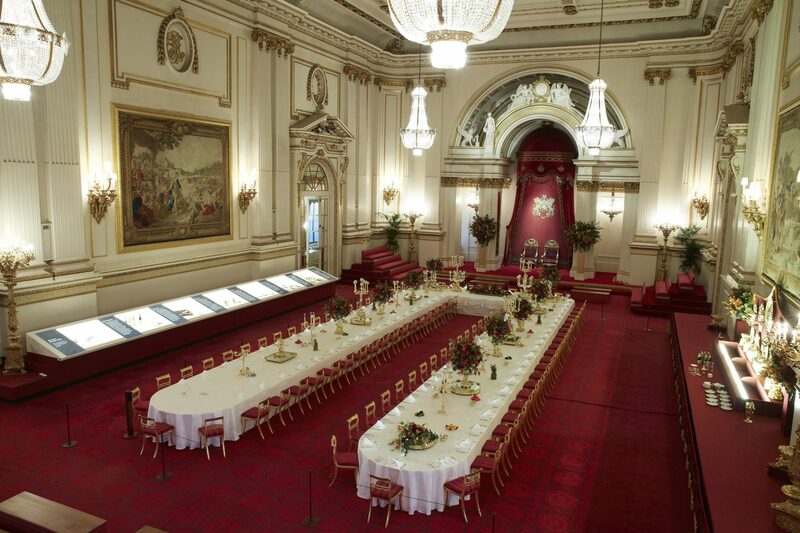 Buckingham Palace State Rooms are not your normal run-of-the-mill tourist attraction. For a start, they are part of the largest working palace in the world. Then they are only open to the paying public for a short time every summer and then you are politely but firmly informed that mobile phones should not be used and nor should cameras. Nothing as impolite as making you give up your electronics, just the information that they are not welcome. It works. I didn’t see a single person being so rude as to even think about it. To feed the need to click and swipe you are handed an interactive audio guide. Your tour starts with the Prince of Wales thanking you for coming. 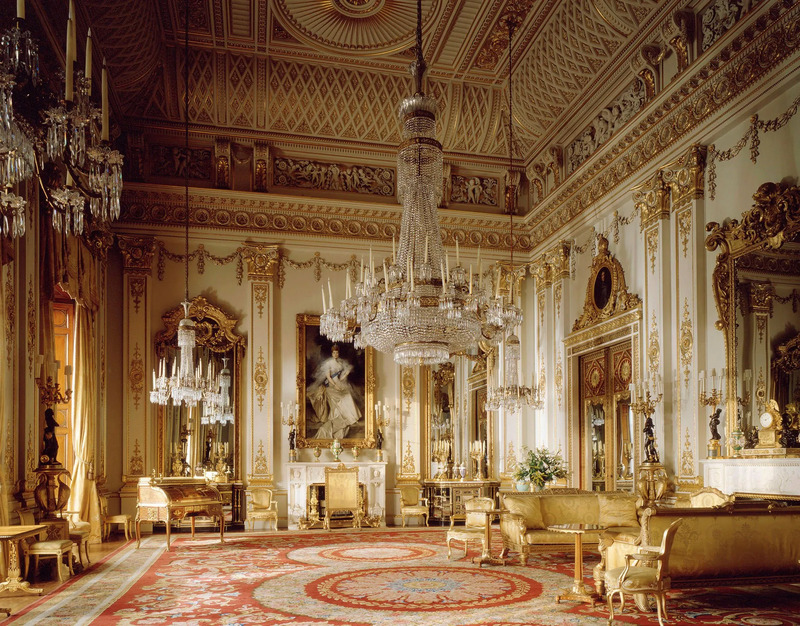 State Rooms are intended to dazzle and dazzle the ones at Buckingham Palace certainly do. It all begins with plush red and low level gilding and then you find yourself at the base of a white and gold staircase that seems to head upwards into infinity whilst branching off into ever more extravagant interiors. Stately homes are often in a state of semi-shaded gloom, as blinds are kept lowered and windows shut to control climate and help preserve the fixtures and fittings. Buckingham Palace is a busy workplace and here the windows are not only not shaded but, on the day of our visit, wide open to let a welcome breeze in. The junior CW’s were especially taken with a secret door in the White Drawing Room, it leads to the private apartments. It is concealed behind the mirror on the left hand side of picture, we liked to think of the Queen lurking there and pouncing out to surprise her visitors. Every year Buckingham Palace has a different special exhibition in the State Rooms, in 2018 to celebrate the Prince of Wales 70th birthday the display is entitled Prince and Patron. The Prince of Wales has selected his favourite works of art from both the Royal Collection and his own personal collection as well as things made by people supported by his charities. Families are welcome at Buckingham Palace, there is a special multimedia tour designed for children under 12. Alice the footman and Rex the corgi takes you on a tour of the Palace and there are games to play whilst you explore. At the end of tour there is a family pavilion with all sorts of playing and photo opportunities. Now that the junior CWs are teens, they are happy to have their photo taken they no longer want them shared, nor indeed are they small enough to play in the enticing play areas. For grown ups and children there is a garden pavilion housing a tea room with rather splendid cakes and views across the Buckingham Palace lawns. Exiting Buckingham Palace is not only via the gift shop (yes I do have a Buckingham Palace wooden spoon) but via the gardens as well which gives the opportunity to see the back of the Palace and to take photos. 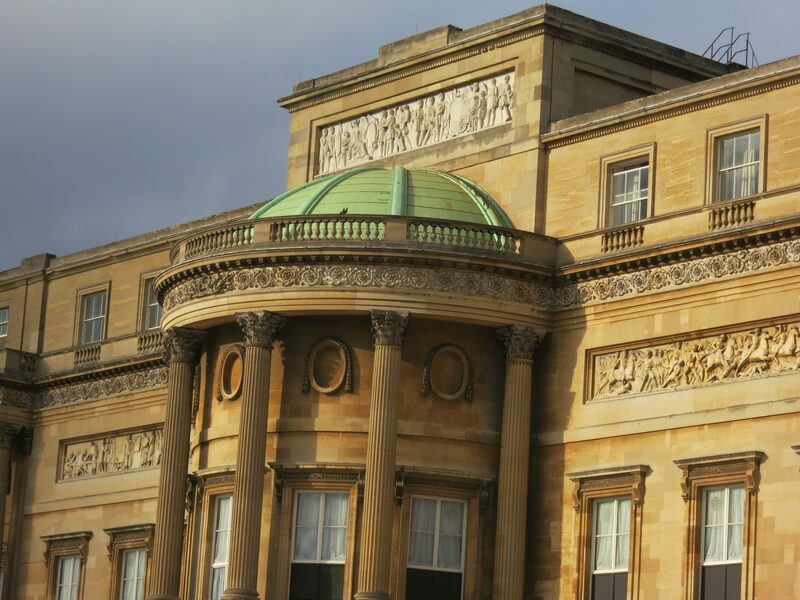 Have you visited Buckingham Palace? What did you think? Have your ticket stamped on your way out and you can visit as many times as you want for a year.